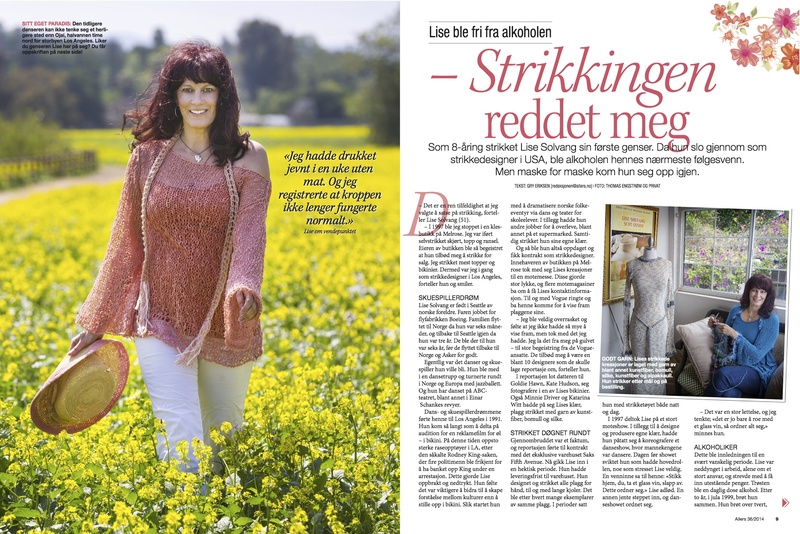 The Norwegian Magazine Allers just published an article on my life focusing on the journey of Hope, Healing, Recovery and a Joy for Life! What a beautiful response from people far and wide being inspired to talk about either being an alcoholic or having loved ones struggling with the disease. There is hope! 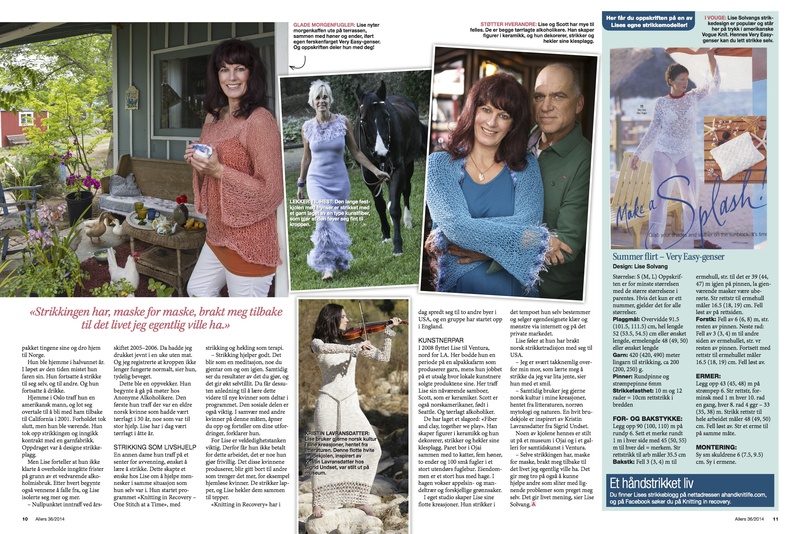 ……and I love that women are using the theme of “Knitting in Recovery – One Stitch at a Time” in their knitting groups! This entry was posted in Knitting in Recovery "One Stitch at a Time" and tagged addiction, alcoholism, allers, crochet, fashion, healing, joy, knitting, Ojai California, recovery, sharing, substance abuse. Bookmark the permalink. Congratulations. Beautiful Pictures. Great Spread, not to easy for an English only guy to read. Hope all is going well. I try to keep track on your website. Come and see us sometime. Woody!!!!!! I was just thinking about you and talking about you the other day! Would love to come see you. When are you in the office?